 Join us for an art and fun filled afternoon at the Pasadena Playhouse District's 6th annual ARTWalk 2011. ARTWalk highlights some of the best Southern Californian visual artists showcasing their work in painting, sculpture, watercolor, photography, mixed media, ceramics, jewelry, drawings and printmaking. Join us from 11:00am to 5:00pm in the heart of the Playhouse District, on El Molino between Colorado & Green Streets in Pasadena. ARTWalk is free and all ages are welcome.